New Hampshire winters are always cold, but this past year seemed to last a little bit longer than most. Weeks after the first day of spring there was still a couple feet of ice on Lake Winnipesuakee and it just didn't seem like they would ever call the "ice out". Lakes Region residents and tourists anxiously wait for the ice out because it's our unofficial way of realizing winter is over and the spring season has begun. Since keeping track of the official ice out date - when the ice that has covered the Lake melts enough to allow the M/S Mount Washington cruise ship to navigate between Alton Bay, Center Harbor, Weirs Beach, Meredith, and Wolfeboro. This date has been observed and recorded since 1887. The latest recorded ice out date occurred in 1888 when it was officially called on May 12th. As the temperatures dip below freezing well into late April there might be a chance we approach that record! The heavy ice and shifting winds tend to cause damage around the shoreline. 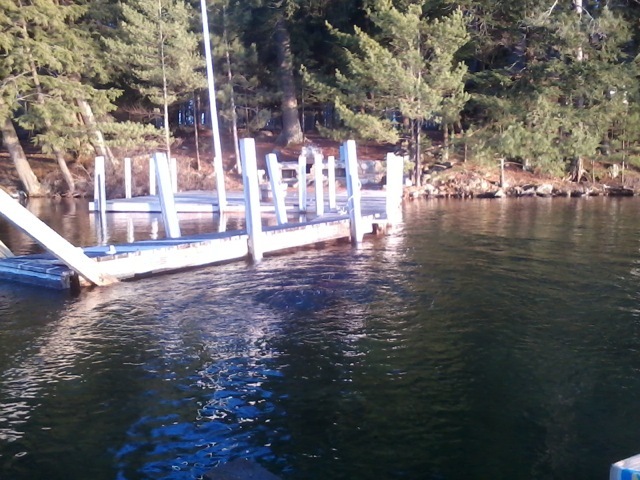 More specifically, permanent docks and ice clusters really take a beating. 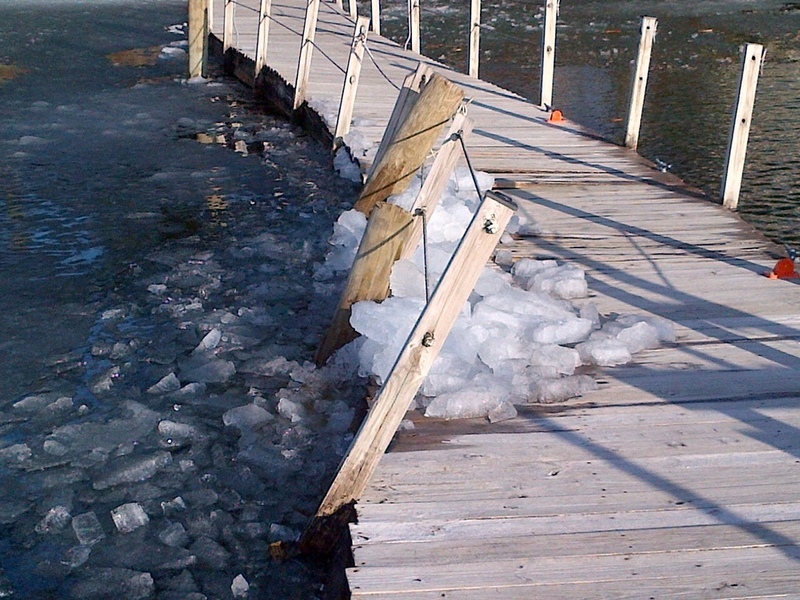 Below are some images taken in April 2014 of ice damage on Lake Winnipesaukee. We are all anticipating the warm weather and enjoying the lake this summer so if you think you might have some ice damage and would like us to visit your residence please don't hesitate to give us a call at (603) 279-4444 or send an email to info@marinenh.com.